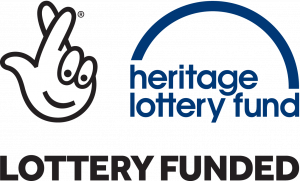 Museum 4 Watton has received a confirmed National Lottery grant of £61,300 from the Heritage Lottery Fund (HLF) to create a museum in the Norfolk town of Watton, it was announced today. Thanks to money raised by National Lottery players, the project aims to save and conserve artifacts, documents and records and display them in premises within Wayland Hall (the Town Hall) in the Market Place in the centre of Watton. This will enable them to be seen and accessed by the public. The group’s large collection of historic documents will be digitised, thus enabling their content to be accessed without endangering their conservation. An educational programme is also planned to encourage school pupils and others to learn more about the history of the town. It is hoped that interested people will volunteer to help run the museum and participate in the volunteer training sessions, meeting others with similar interests. The rooms in which the museum (grade 2 listed and built in 1853) will be housed are not currently open to the public, and this project will remedy this. The members of the group are passionate about the need to preserve items that are of importance relating to Watton and its surrounding villages before they are lost and to make them accessible.